When a woman is tired of spas, she's tired of life (amazingly, Samuel Johnson actually said this). Whether you're going with your romantic other, bezzie mates or gloriously solo, here's our curated pick of the very best day-or-stay spas near you. The closest you’ll get to the sun-baked lavender fields of Provence in the city of Bath, this is the first and only L’Occitane spa in the UK. The Garden Spa at this luxury country house hotel has four treatment rooms, indoor and outdoor pools, sauna – and an egg-shaped steam pod. Signature treatment: lovely lemony Verbena Relaxing Massage. When you’re done with the spa, segue onto a sofa in one of the elegant lounges, out into the three-acre garden or over to your table in the 3 AA-rosetted restaurant. 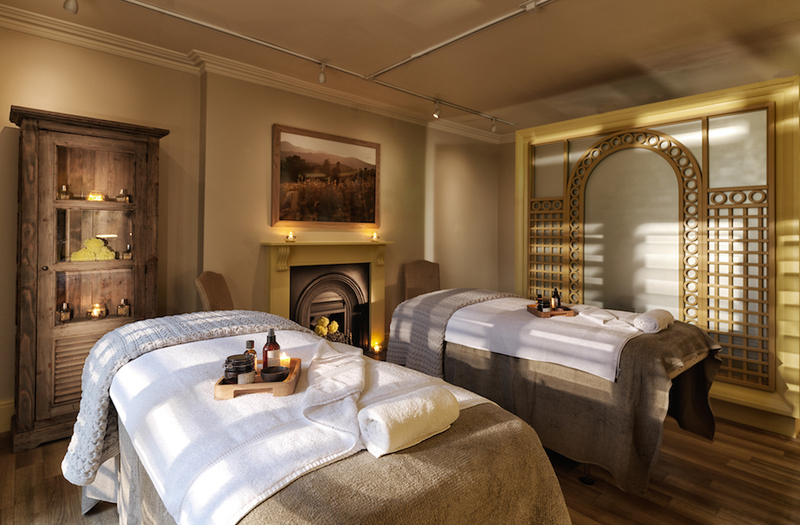 Winter Spa breaks, Sun-Fri until 30 April, including a complimentary treatment from £329 per room, per night. The only hotel in town where you can splosh around in Bath’s famous mineral-rich thermal waters. 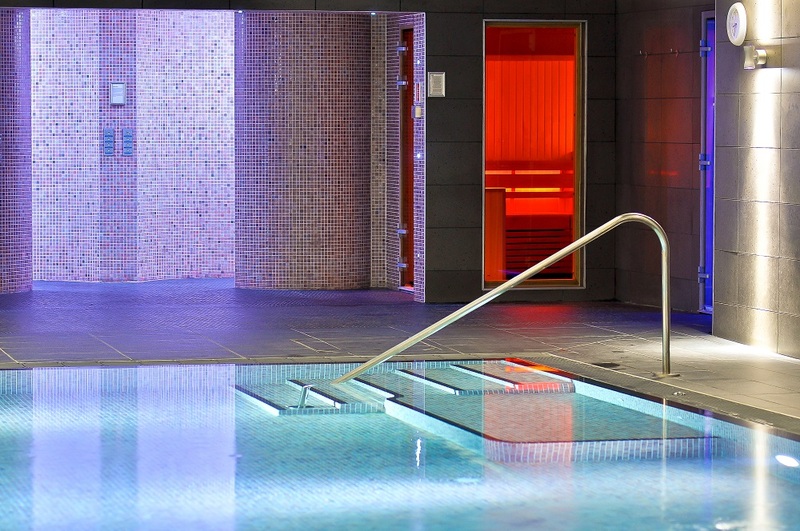 The spa at this swanky 5-star jobbie – Georgian exterior, contemporary New York designed interiors – has three thermal pools, trad and infra-red sauna, steam room, thermal water fountain and an ice alcove, all under a four-storey glass atrium. Treatments include aquatic body therapies and traditional Asian massage (it’s a Malaysian-owned Leading Hotel of the World). Can’t bear to leave the spa? Book yourself into a guest room with thermal waters in the bathrooms. Nosh: 3 AA-rosetted restaurant. A Bespoke Couple’s Surrender, with two-hour body scrub, wrap, massage and room/junior suite, £480 for two. Not only is it a golfer’s Mecca, having hosted the Ryder Cup four times but a luxurious resort set in 550 acres of countryside. This stylish spa is offering a ‘Just for Mum Spa Day’ from £109 per person in March and April, you’ll receive two 25-minute treatments, a delicious afternoon tea, full use of the leisure facilities and a free ESPA gift. From April, there’s a Summer Great Deals package, from £79 per person, where you can enjoy an overnight stay in a Signature room, full English breakfast, plus a Fire & Ice Experience, or you can upgrade to a spa treatment. Features include 16 luxurious treatment rooms, a Fire & Ice Spa Experience, dual treatment room, ideal for couples and finishing studio with manicure stations, pedicure thrones, tanning, and makeup stations. The first spa built in Warwickshire for 10 years opened in 2017 and went on to win the Muddy Stilettos award for Best Spa! A peaceful retreat within a country hotel. De-stress in new state-of-the-art facilities, unwind in the thermal retreat, bathe in the Hydro pool or relax surrounded by nature in an outdoor vitality pool with a view! Celebrate Valentine’s with a romantic overnighter in a superior deluxe room including a 5-course dinner in the fine dining restaurant, glass of champagne, full English and chocolates in room on arrival -£399. There’s also a Feb Revive & Restore – a 55-min personalised skin reviving facial and back massage, £65 Mon -Thurs (normally £80) and £75, Fri – Sun (normally £90). 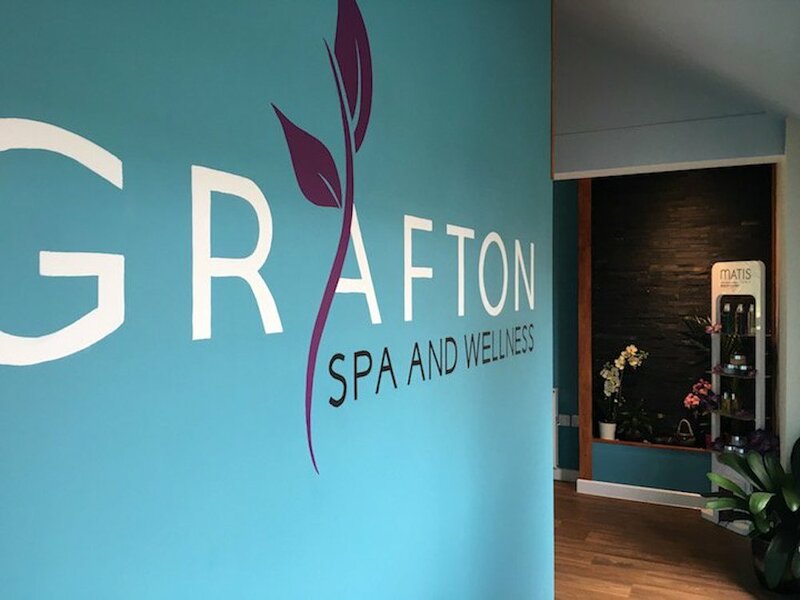 Grafton Spa & Wellness won the Northants Muddy Awards in BOTH 2016 and 2017 – so you know these ladies are good. They’re in the fabulous Wakefield Court, which is surrounded by fields, sheep and chickens. It’s definitely not one of those overly, feng shui’d salons, all chrome and steel minimalism but it has a nice, buzzy (but boutique) feel and lots of gorjus products. 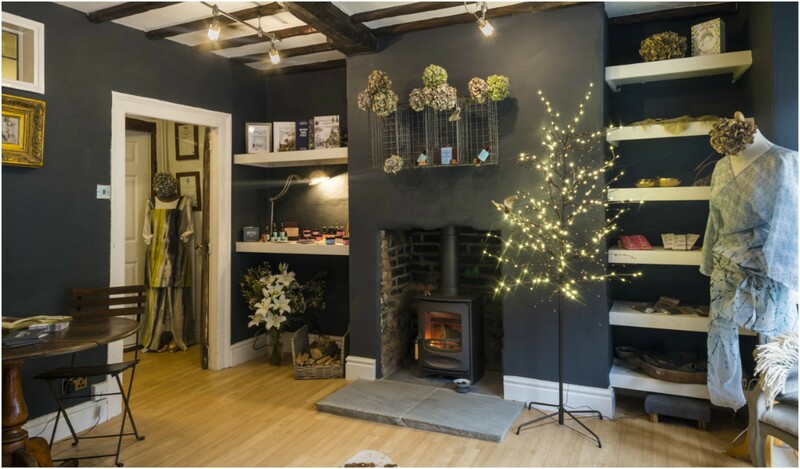 The building is relatively small with a Tardis like sized space out back filled with aromatherapy scents, candles, soft music and five treatment rooms. 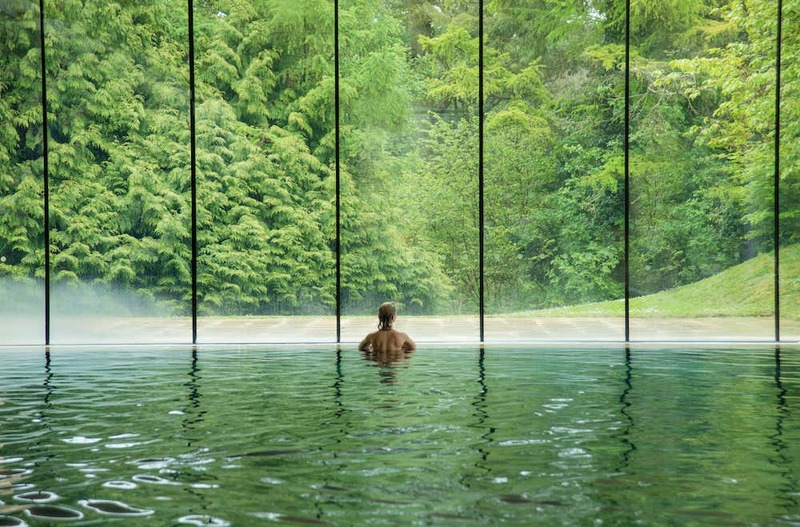 All spa packages include: hire of robe, towel and slippers, welcome drink on arrival and use of the hydro pool, sauna and steam room with a delish picnic lunch or afternoon tea (I’ve had both, obvs, and they’re scrummy). Set amid the South Downs, the award-winning spa in this country house-style hotel lets you relax indoors or out as the weather dictates. 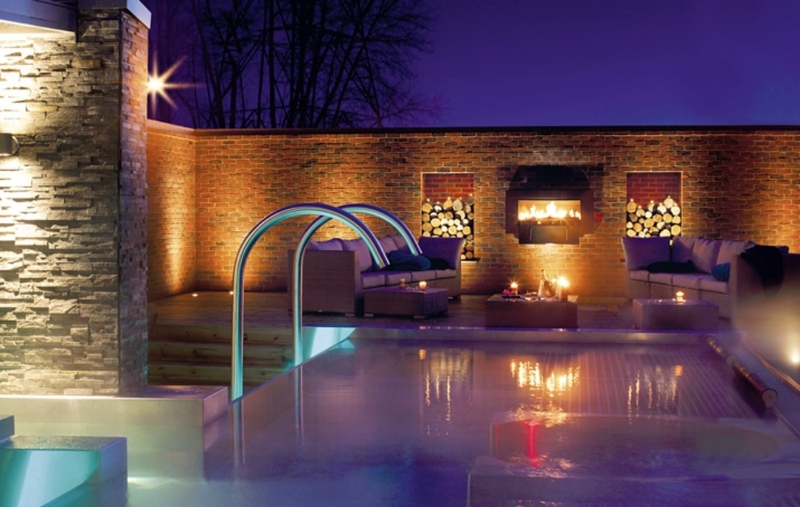 Inside there’s a 15-metre mother-of-pearl inlaid pool, sauna, steam room and Jacuzzi. After you’ve had a good soak in the jets you can soak up the fabulous views from the sun terrace and outdoor heated pool, available May – September, where there’s even a handy bar. Enticing packages in the VOYA spa include the Sunset Experience with a 45 minute treatment, champagne afternoon tea or two-course dinner for £100. Feeling energetic? Use the tennis courts, putting green, six hole golf course or croquet lawn. Here’s something really different – a spa in the historic brick arches under Brighton Harbour Hotel, right opposite the seafront. Soak in a wooden hot tub, get steamy in the sauna, or splash out in a lap pool with a giant rubber duck. You can even hire a private grotto with butler service! Indulgent ESPA treatments include an Ocean Spa Ritual. It’s a great choice for a weekend away, with a trendy cocktail bar and heavenly afternoon teas and smart dining upstairs in the Jetty restaurant. Afterwards, lay your head in one of the contemporary sea-view rooms with complimentary gin. Whatley Manor may be an über luxe, 17th-century, Grade II-listed country manor house in a knockout Cotswold setting but it’s also got one of the best spas in the country, which makes it possibly one of the nicest places to visit in the world. (Yes, Muddy LOVES Whatley!) 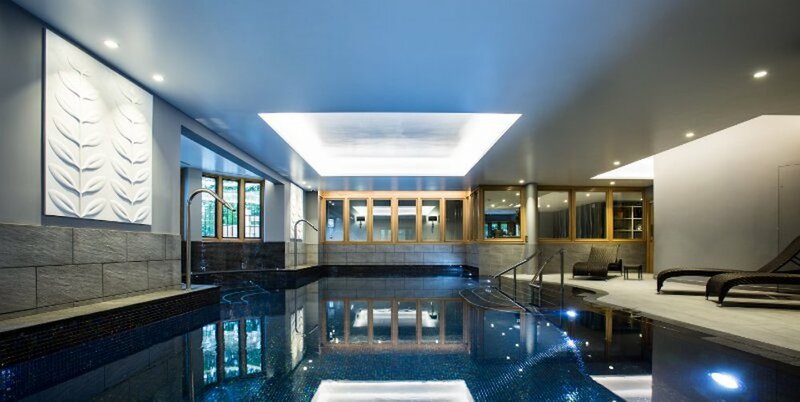 The impossibly lovely Aquarias Spa will take you close to heaven with their hydrotherapy pool complete with airbed, air tub and neck massage jets, tepidarium with heated stone recliners, salt scrub showers, thermal cabins and wave dream sensory room. 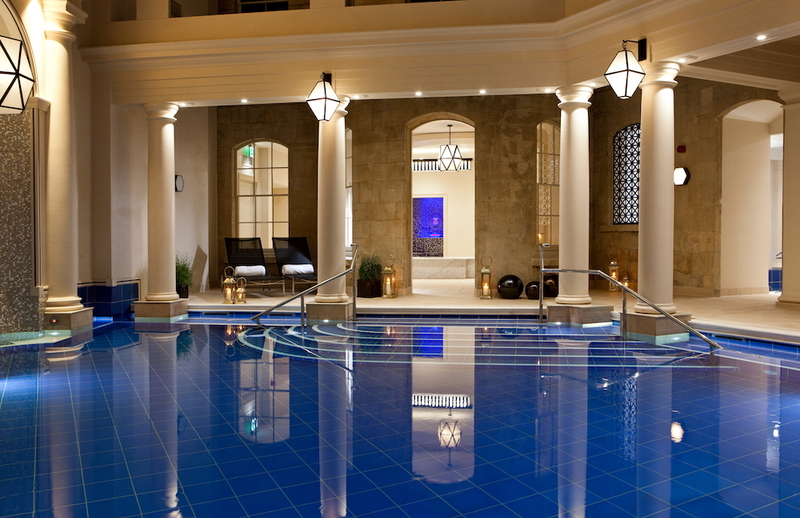 Spa days are on offer for those looking to rejuvenate quickly but we recommend a spa break for ultimate relaxation. 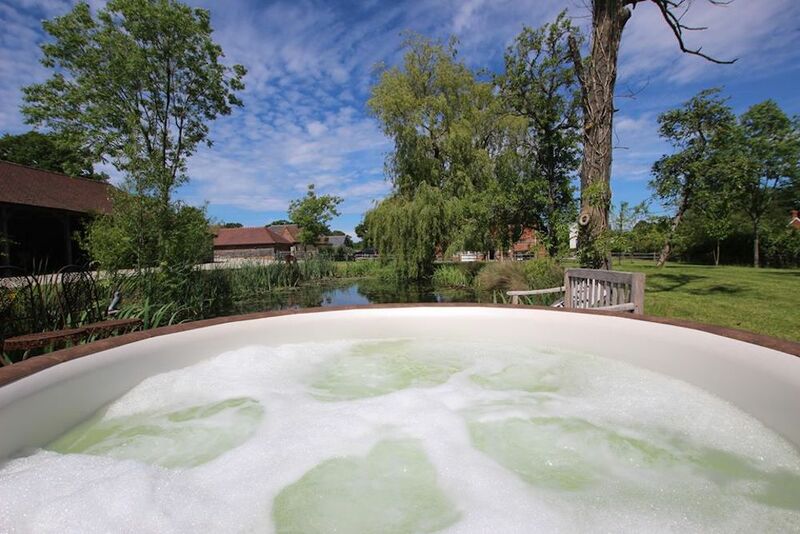 Fancy an idyllic escape surrounded by endless views, wildlife and remote Wiltshire countryside? Oh, and a luxury spa too? Yes please! Take a dip in the infinity swimming pool, detox in the sauna or steam room, or pamper yourself with a brand new Sundari Kansa Wand treatment such as their Brightening Glow Facial – it’ll bring the sunshine back to that pasty winter skin. Choose from a range of spa packages – our fave is their Luxury Spa Pamper Break which includes a night’s accommodation, 3 course evening meal, full Wiltshire breakfast and use of the spa including a luxury spa treatment per person. A recipe for pure tranquility. 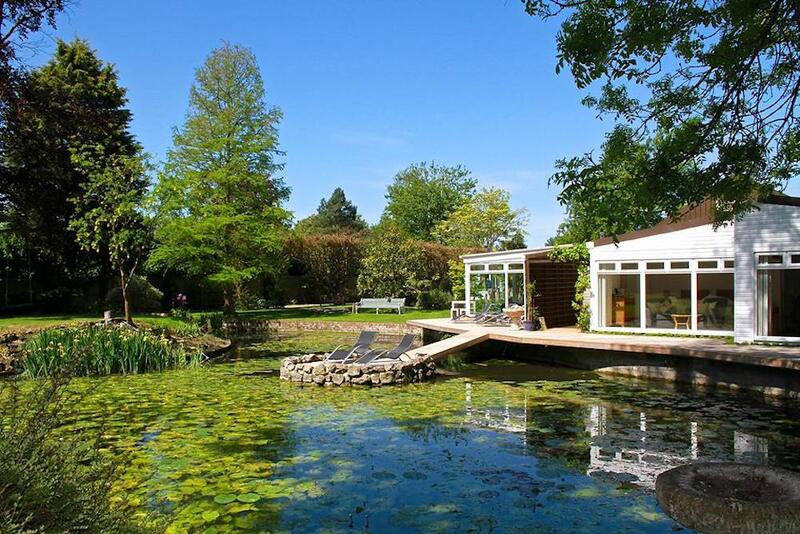 The most recent addition to Oxfordshire’s spa landscape and definitely the most luxurious. Part of the Soho House group, it’s a private club but, hey, where there’s a will there’s a way! 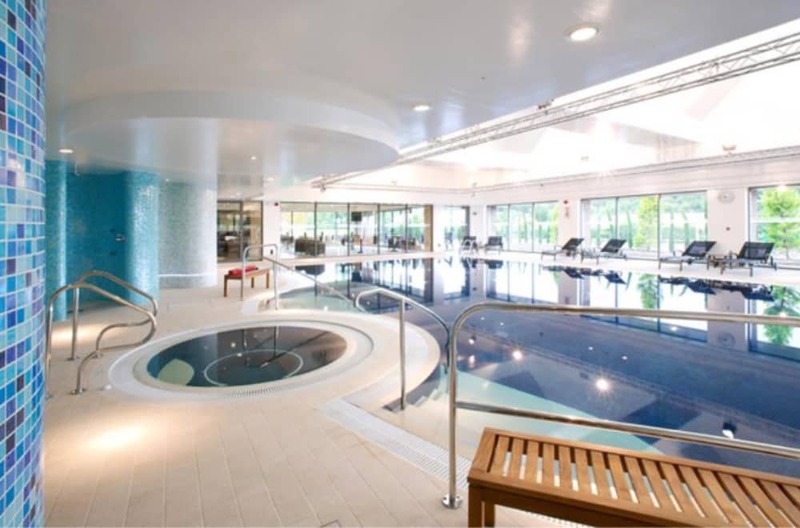 If you’re not a member, you can book a room from Sunday – Thursday and then you’ll be free to use the bonkersly amazing facilities, including a heated outdoor pool next to an ornamental lake, indoor pool, huuuuuuge gym, Cowshed spa and treatment rooms. You may also be lucky like my friend and literally bump into David Beckham as you rubber neck the celebs – he’s getting a pad built up the road and is a regular visitor. 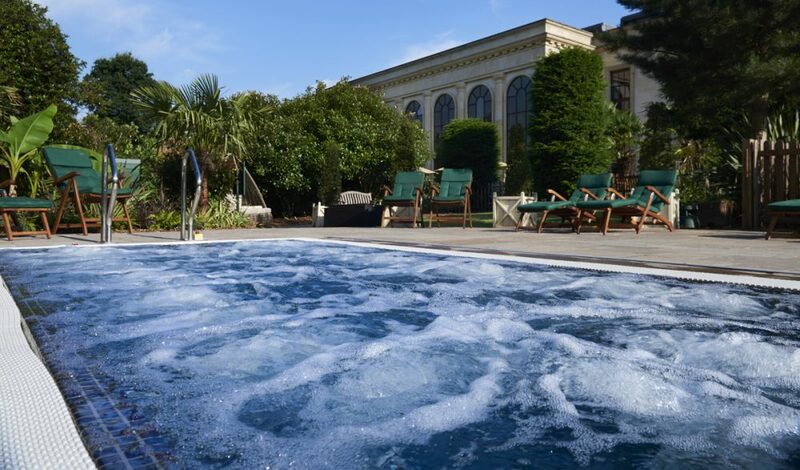 Strip down like a Sixties showgirl and get yourself to Cliveden Spa. Following a multimillion pound revamp, it’s become a stylish, light filled space of whites and neutrals with deco-inspired touches. The Grade II listed Profumo pool – where Christine Keeler flouted the no heavy petting rule with John Profumo – is FAB-U-LOUS. Inside, there’s another pool, jacuzzi, infrared sauna, steam room and 7 treatment rooms with the most incredible water mattresses. 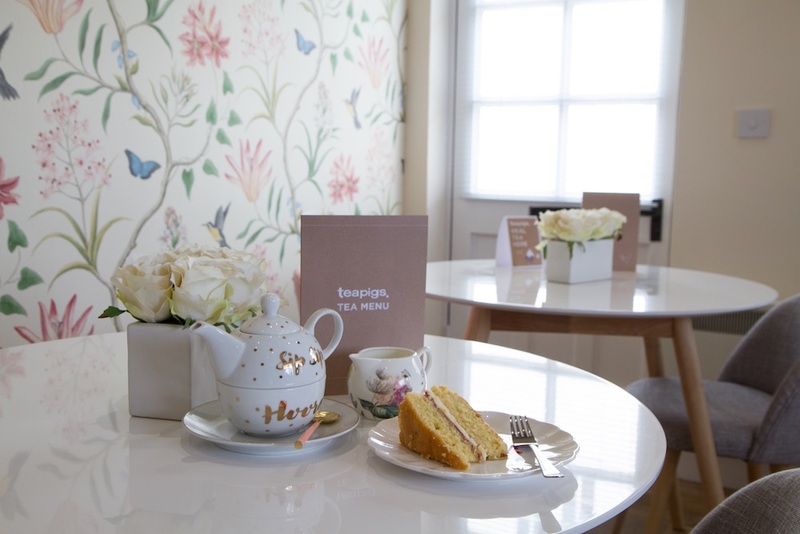 There’s a gym for anyone suffering from spa guilt (no, me neither) and a lovely cafe. It’s grand, beautiful and a ton of packages to choose, from £140. How does 7 hours of ‘me time’ grab you? Don’t mind if I do. 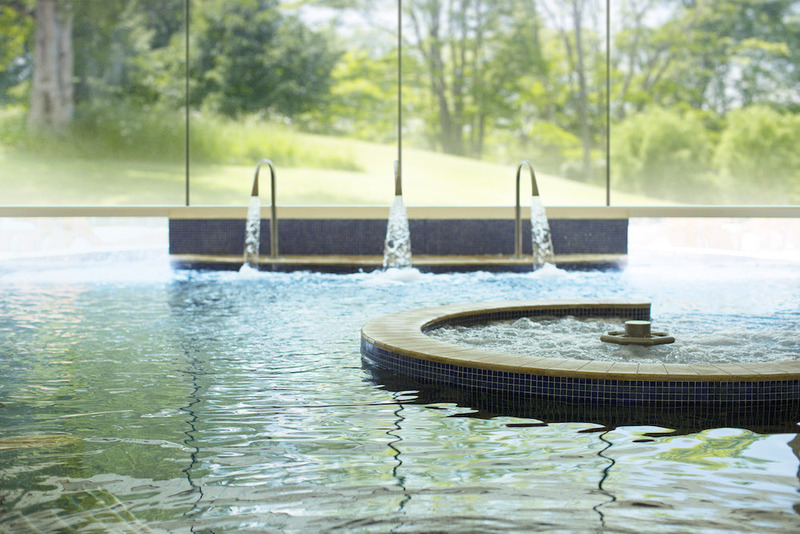 Donnington Valley Spa, just off the M4, is a light, bright haven to max out on R&R. The minimalist styling, modern art and epic wine list (200 bottles, no less) will have you California dreaming before you know it. Set over 2 levels, the guest relaxation and treatment rooms are upstairs while the 18m indoor pool, jacuzzi, aromatherapy and steam rooms are on the ground. The treatments are epic – and great value for money! Packages start at £82 with bespoke pamper packages for teens and cancer patients. 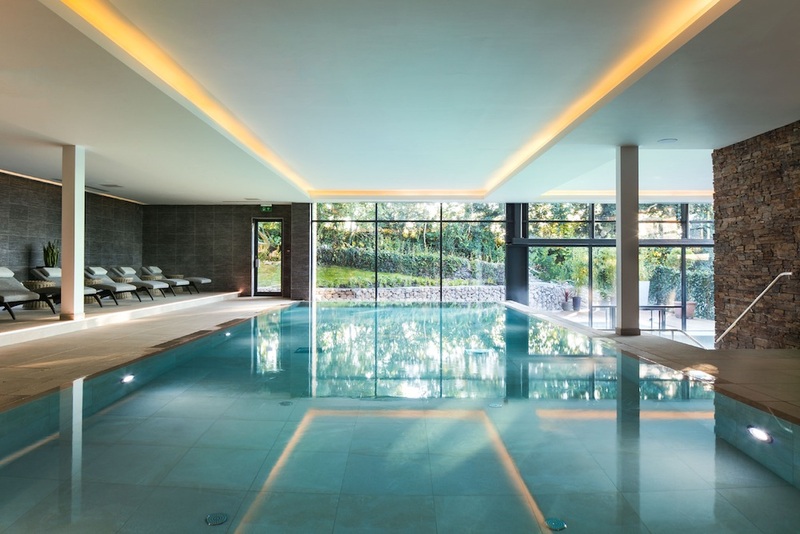 Named one of the top spas in the UK by The Sunday Times, The Secret Garden Spa at Congham Hall has a stunning 12-metre pool that’s bathed in natural light, a thermal suite with sauna, steam room and bio-sauna; an outdoor hot tub (yes please); and four treatments rooms. Products for facials, massages and signature treatments are created using herbs from the spa’s own herb garden. As for the hotel, imagine a Georgian manor set in the Norfolk countryside with well-appointed rooms, open fires, walking boots to borrow and a 2 AA rosette restaurant. Isn’t it time you were pampered? Beloved by locals and out of towners looking for a des-res slice of contemporary luxury in the countryside, the spa at this stunner of a country house hotel will make your jaw drop with its floor-to-ceiling picture windows overlooking the immaculate Cotswold surroundings. The holistic treatments on offer are cutting-edge – C-Side is the only spa outside London to offer facials using EmerginC, an über range of organic wonder products that make you GLOW – seriously, it’s proper ‘ta-da’ stuff! Indoor and outdoor pools, drench showers, sauna, steam room and eye-catching spots to relax make it perfect for an escape with your besties, your lover or just you. An opulent hideaway on the edge of Cheltenham, Elan Spa tucked away in The Greenway, a luxury Elizabethan manor house, offers up a multitude of delicious pampering opportunities in distinctly glamorous surroundings (we are in Cheltenham after all!). 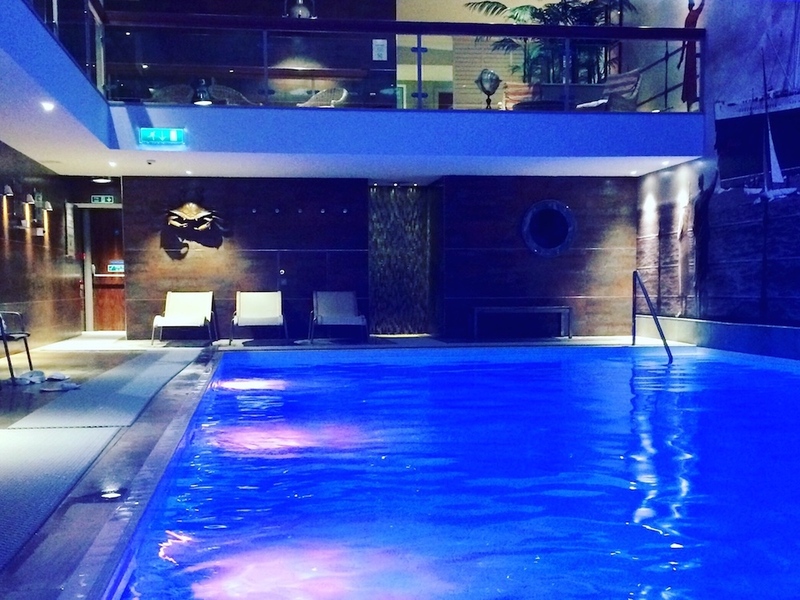 The come-to-me hydrotherapy pool soothes away aches and pains, stress and anxiety, and gives your muscles a pleasing pummelling while you luxuriate in the warm water – that’s my kind of exercise! There’s also an al-fresco hot tub, sauna, steam room and sanarium to complete the aqua experience, and stylish treatment rooms and a champagne nail bar to leave you feeling properly preened and refreshed. Bliss. The old and new awesomely collide here. Set within the peaceful grounds of the 16th century “enchanted house on the hill” Boringdon Hall, the mega award-winning Gaia experience is Devon’s dreamiest. 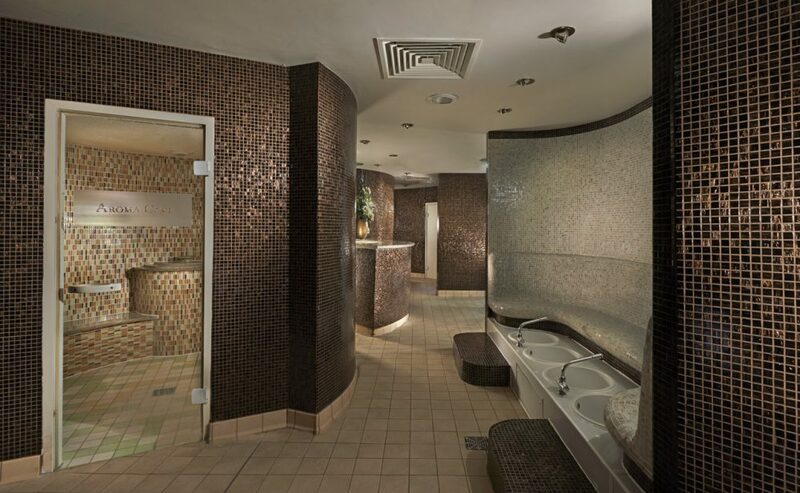 Modern and luxurious, this is a spa designed to take you out of your frazzled state, into total relaxation. Hot tubs, several heat experiences, a deep relaxation room, 12 treatment rooms and a Spatisserie for dining make for a total escape. The spa breaks are cracking, too, with a new signature ‘Equinox Retreat’ coming up in March. If anyone wants me, I’ll be curled up on a tepidarium lounger. A spa break by the sea, you say? Of course we can oblige. The Voyage Spa at the enduringly popular family-run Thurlestone Hotel perched right on South Devon National Trust coastline is quite something. It’s small but brilliantly formed with super-modern facilities and a lengthy list of restorative treatments; and yet the whole vibe is tinged with a groovy sense of nostalgia that harks back to the golden age of ocean travel. After a bracing day walking the coastal path, some R&R with bubbles both in a jacuzzi and a glass is pretty hard to beat. Ever wanted to escape for a few hours and curl up in a deliciously cosy lair and be spoilt with indulgent treatments? This boutique beauty spa could be just the ticket. Downstairs you can beautify your nails and brows but upstairs is where the magic happens. 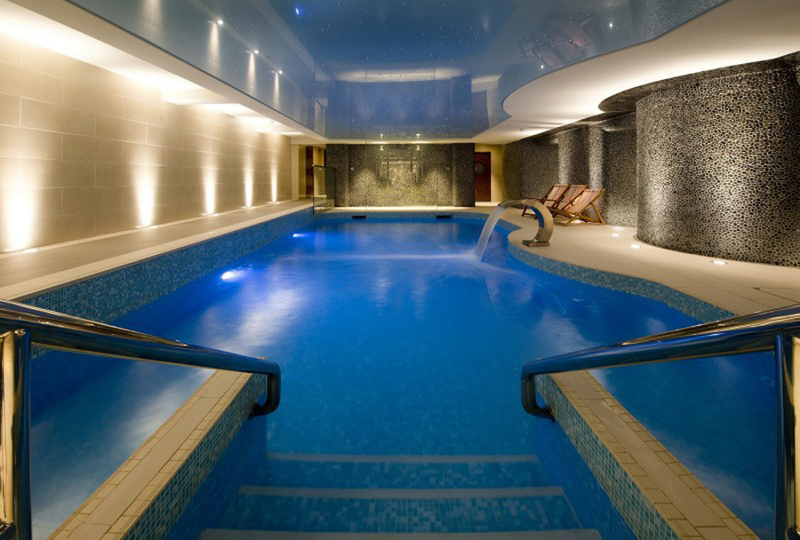 The Elemis Day Spa is spread across two floors and once booked, you have the entire space to yourself. The mini day spa package starts from £36 per person and includes a choice of two treatments, refreshments, towel, robe and slippers hire and sauna use. Fancy something more decadent? Add the cream tea option or bring your own fizz. This high street day spa in the charming town of Uppingham, Rutland is truly something special. 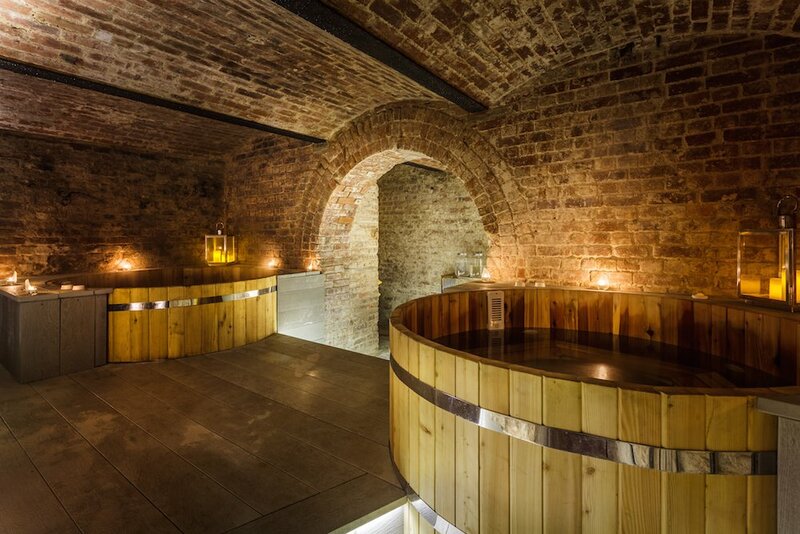 Inside the 18th century townhouse, soak in the luxurious hydrotherapy bath and marinate your body in delicious flavours including lavender or rose. The 45-minute soak warms up your muscles and helps soften the skin so afterwards it’s the perfect time to pick a facial or massage. The spa menu seeks to restore your inner balance and owner Lottie Davies locally sources natural, organic skincare products. Larger parties can hire the venue and enjoy some fizz and cake. Bath soak from £16.50 and treatments from £27. 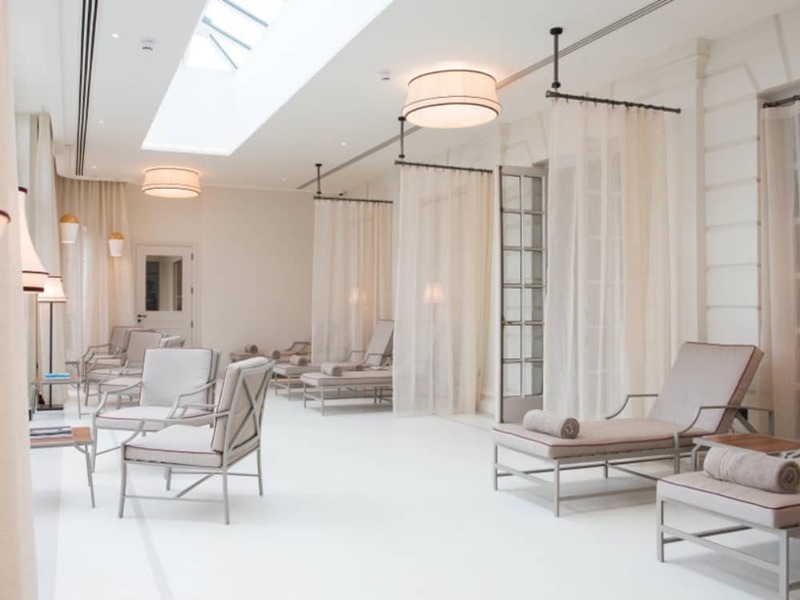 All frescos, floor-to-ceiling windows, natural light and heavenly hydrotherapy pools, if you need a day of indulgence, *ahem* plus another to choose between its 50 or so treatments, I give you the uber-luxe, 5* Chewton Glen spa. Enough. Said. Read the full review here. A little bit of pampering goes a long way at this time of year. We won’t need much encouragement to don a fluffy robe and lounge around this 5 bubble rated spa. The facilities are top-notch and include an indoor hydrotherapy pool, roof top hot tub, ice fountain and a warming relaxation room. 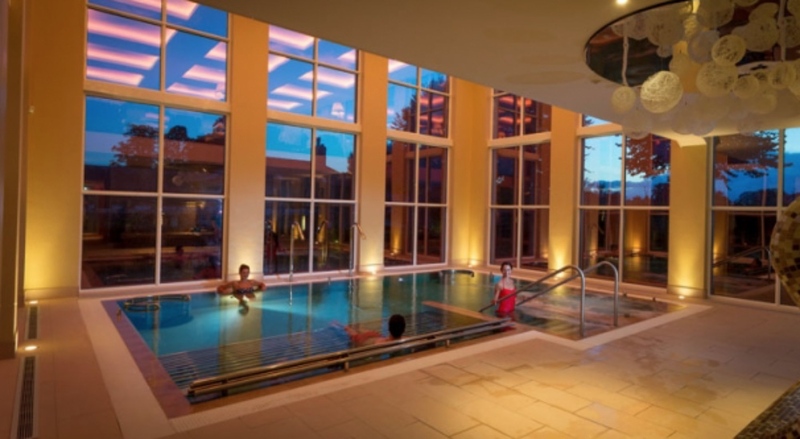 There are various spa offers available with spa evenings starting at £90, spa days from £105 and if you fancy an overnight stay packages start at £299. With a spacious and contemporary feel, the different zoned relaxation areas at the Y Spa offer copious opportunities to calm the cold-frazzled senses. 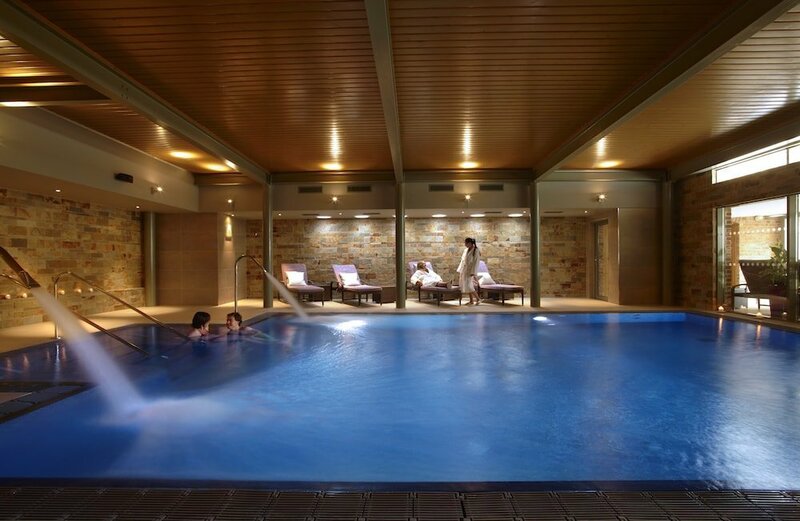 The thermal spa offers hot and chilly experiences as treatments – up to a whooping 87° if you’re a keen heat hugger. The outdoor hydrotherapy pool is kept at a toastie 37° all year around and includes a roaring outdoor fire, and warm blankets supplied. Cosy reading pods, heated waterbeds and sleep rooms allow the chance to unwind in-between treatments. Prices start at £99 for the day spa and £125 for an overnight break. The TOR Spa Retreat is a small, Ayurvedic health haven located in the village of Ickham, just five miles east of Canterbury. So you’ve got two brilliant pubs (The Dog and The Duke William on your doorstep!). 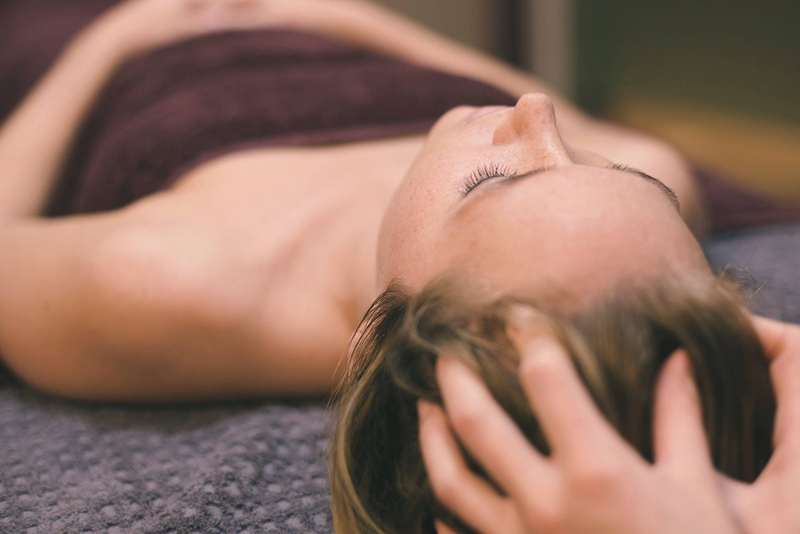 Treatments are incredibly well-priced, with an Abhyanga Full Body Massage lasting an hour and costing £55 or a half hour Mini Facial costing £30. There’s an oxygenated swimming pool and six en-suite rooms available. The wonderfully unique Green Farm spa sits on a working farm, complete with animals so you’re totally immersed in nature. There’s a gorgeous restored, large listed barn providing luxury self-catering accommodation for up to 12 guests so you can go in a big group of friends or family. 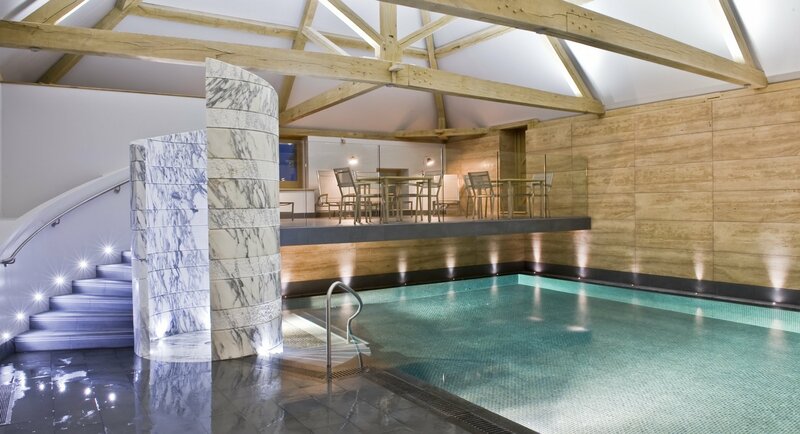 Or grab a friend/your other half and just the two of you stay for a restoring spa escape, (from £225 per person). They offer regular Yoga, Art or Gardening Retreats on site too. Basically a little bubble of bucolic blissssss. One of just three ‘five bubble’ spas in Cornwall, this luxurious seaside retreat is housed in the iconic Headland Hotel, overlooking the white sands and pumping surf of Fistral beach. The emphasis here is on outstanding customer service (they’ve won awards for it) and indulgent handpicked treatments that make you feel properly pampered. As gorgeous spas go, it’s pretty affordable too. Spend £60 or more on treatments for free access to the spa facilities – including hydropool, Cornish salt steam room, sauna and hot tub. Or, from £140 per person, the VIP SpaScape is a no-brainer. Stay the night in a beautiful sea-view room, enjoy three courses at Muddy award-winning Samphire Restaurant and two luxe spa experiences, including the Rhassoul Mud Room and a choice of treatments. This holistic, boutique spa has only been open since June 2017 but glowing reviews are already the norm. In fact, everyone kept telling me I had to go! Perched above one of Cornwall’s most beautiful north coast beaches, you can float in the heated pool or spa bath while gazing out to sea. As well as a full menu of beauty treatments, the spa’s experienced staff are on hand to pamper you with nourishing, tailored rituals from Cornish-made skincare brand Made For Life Organics. Their products are bursting with natural botanicals and their treatments are designed to boost mental, physical and emotional wellbeing. Specialised pregnancy treatments and new Cancer Touch Therapies are also on offer here. Can’t quite peel yourself away? Crantock Bay has a collection of luxe holiday apartments and a popular café/bistro, where you can refuel post spa. Vanity Fair called Stoke Park’s spa one of the ‘four Must Visit spas in the world’ and you’ll definitely enjoy the frisson of walking into the reception area, all bright, shiny and contemporary, with its modern art, velvet sofas, supersoft carpets and groovy light installations that trippily change colour every few seconds. 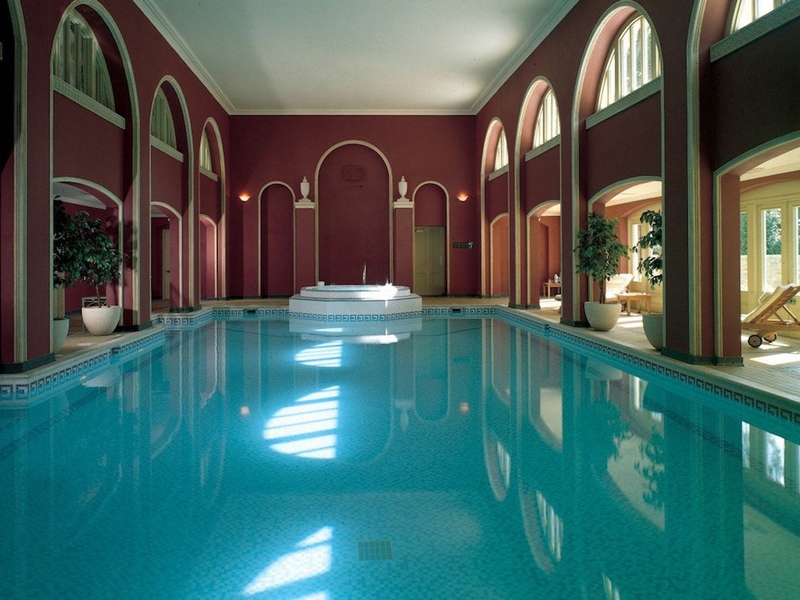 Stoke Park itself is a five star hotel in South Bucks, with a relaxed, luxe vibe and that follows through to the spa. The 20m pool has double height floor-to-ceiling arched windows leading out onto a terrace and garden, there’s a fab relaxation with retro Sixties spinning pod chairs, large mirrors and a huge fish tank, a deep relaxation room, a 4000ft sq gym, nail bar, outdoor jacuzzi and stand-alone Swedish sauna, and gazillions of treatment rooms offering mainly THALGO treatments. I went here for a facial earlier this year and came out looking about 12 so they’re obviously doing something right. Hartwell House is a stunning Jacobean stately home run by the National Trust with the spa on site in the former stables. 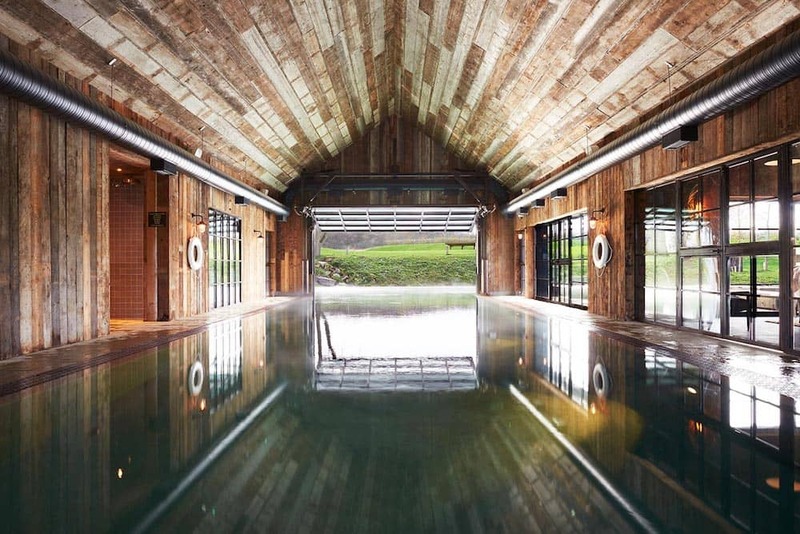 I love the fact that they offer treatments/products from cult Icelandic brand Bioeffect, and the Palladian swimming pool is seriously gorgeous. Read my previous review of the spa here.